A research team has discovered what may be the oldest astrologer’s board, engraved with zodiac signs and used to determine a person’s horoscope. An ancient astrologer, trying to determine a person’s horoscope, could have used the board to show the position of the planets, sun and moon at the time the person was born. Jones and StašoForenbaher, a researcher with the Institute for Anthropological Research in Zagreb, reported the discovery in the most recent edition of the Journal for the History of Astronomy. In 1999, the team was digging near the entrance of the Croatian cave, a site well known to archaeologists and people at the nearby hamlet of Nakovana who simply called it “Spila,” which means “the cave,” Forenbaher told LiveScience. Stepping into the cavern “there was a very thin limestone crust on the surface that was cracking under your feet when you went in, which meant that nobody walked there in a very, very, long time,” Forenbaher said. The team would later determine that it had been sealed off in the first century B.C., possibly in response to a military campaign waged against the local people by the Romans. The team went to work. “What followed was years of putting them together, finding more bits and pieces, and figuring out what they were,” Forenbaher said. In the end they found themselves staring at the remains of the oldest-known astrologer’s board. How did the board wind up in the cave? Archaeologists are not certain how the board came to the cave or where it was originally made. Astrology originated in Babylon far back in antiquity, with the Babylonians developing their own form of horoscopes around 2,400 years ago. Then around 2,100 years ago, astrology spread to the eastern Mediterranean, becoming popular in Egypt, which at the time was under the control of a dynasty of Greek kings. 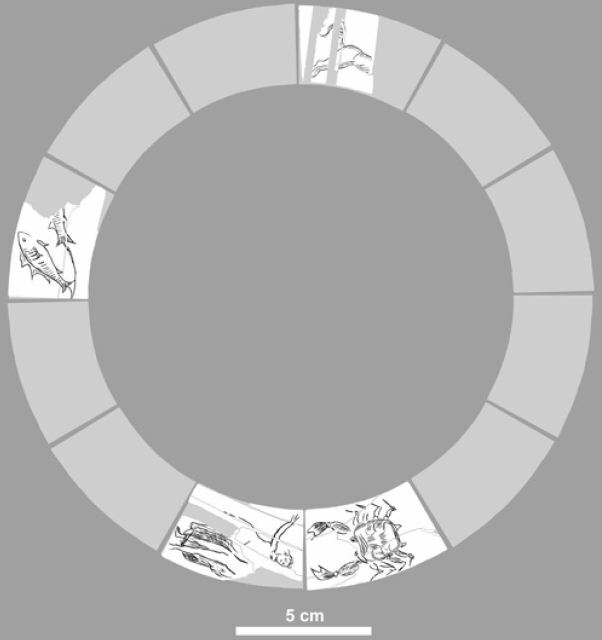 Radiocarbon dating shows that the ivory used to create the zodiac images dates back around 2,200 years ago, shortly before the appearance of this new form of astrology. Researchers are not certain where the board was made although Egypt is a possibility. The ivory itself likely came from an elephant that was killed or otherwise died around that time, they suspect. Being a valuable item, the ivory would have been stored for several decades, or even a century, before it was used to construct the zodiac. These signs would then have been attached to a flat (possibly wooden) surface to create the board, which may have included other elements that didn’t survive. At some point it may have been put on a ship heading through the Adriatic Sea, an important route for commerce that the cave overlooks. The people who lived in Croatia at the time were called Illyrians. Although ancient writers tended to have a low opinion of them, archaeological evidence suggests that they interacted with nearby Greek colonies and were very much a part of the Mediterranean world. It’s possible that an astrologer from one of the Greek colonies came to the cave to give a prediction. A consultation held in the flickering light of the cavern would have been a powerful experience, although perhaps not very convenient for the astrologer. “It doesn’t sound like a very practical place for doing the homework for the horoscope like calculating planetary positions,” Jones said. Another possibility is that the Illyrians traded for or stole the astrology board from someone, not fully understanding what it was used for. The board, along with the drinking vessels, would then have been placed as an offering to a deity worshiped in the cave whose identity is unknown. “There is definitely a possibility that this astrologer’s board showed up as an offering together with other special things that were either bought or plundered from a passing ship,” Forenbaher said. He pointed out that the drinking vessels found in the cave were carefully chosen. 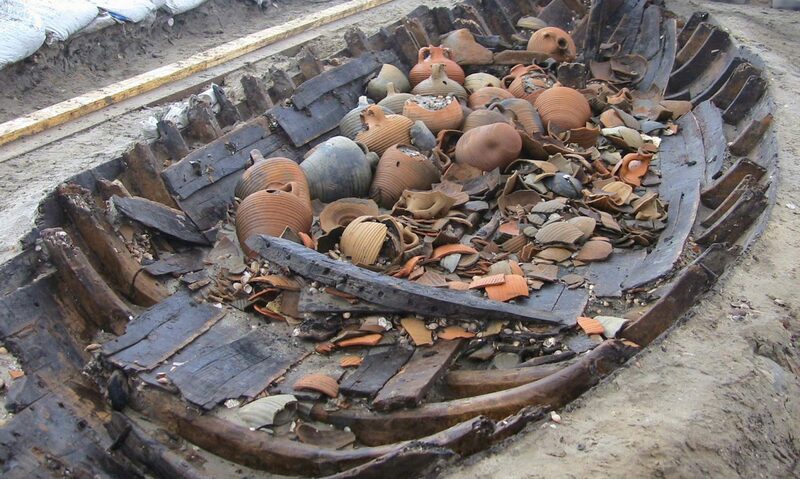 They were foreign-made, and only a few examples of cruder amphora storage vessels were found with them. “It almost seems that somebody was bringing out wine there, pouring it and then tossing the amphora away because they [the amphora] were not good enough for the gods, they were not good enough to be deposited in the sanctuary,” Forenbaher said. The phallic-shaped stalagmite, which may have grown on the spot naturally, appears to have been a center for these offerings and for rituals performed in the cavern. 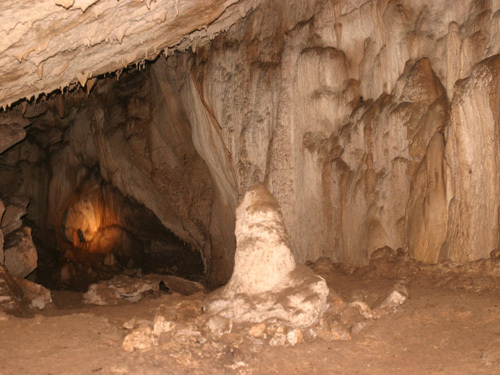 Forenbaher cautioned that all stalagmites look phallic to some degree and it’s difficult to determine what meaning it had to the people in the cave. “It certainly meant something important,” he said. Previous PostPrevious V.S.L.M. celebrates 4th birthday!